Pure alchemy! 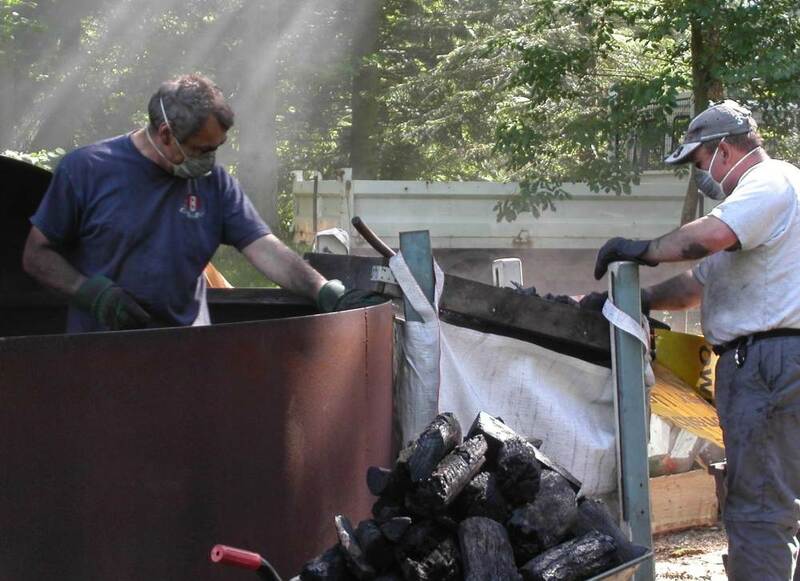 The art of converting assorted pieces of wood into charcoal. We’ll manage a burn in a big ring kiln as well as in 45 gallon oil drums and we’ll take you through the whole process of stacking, lighting and closing down a burn. You should leave with a fine bag of barbecue charcoal, some artists drawing charcoal, lots of experience – and very dirty! £145 for the weekend, camping on site. Accomodation: for most of my courses, camping is available at our Yard just north of Tetbury. Here you will find a composting toilet and cold running water (luxury! ); a covered Camp Kitchen, some sleeping platforms in the roof of one of our buildings and some space for camper vans or tents. In 2017 I will be running three other courses at the Greenwood Centre in the Ironbridge Gorge, near Telford. May 6th/7th. 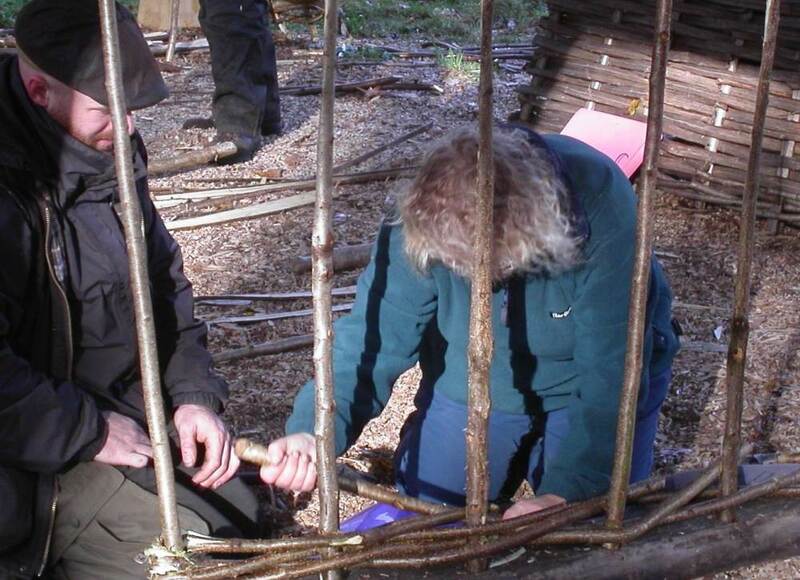 Making Wattle Hurdles. Learn how to use a billhook and split hazel. Get to grips with the starting and finishing sequences and build up the body of the weave. At the end of the day you should have a small hurdle to take away with you and a fine selection of callouses. £150 for the weekend, inclusive of materials and with all tools provided. Camping will be available at our Yard (see below).